Welcome to North Castle's humour Fan-Fiction Archive. 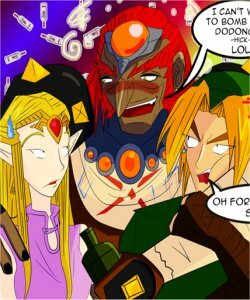 here we have a diverse range of stories based around Link, Zelda and their friends escapades. Most stories have comical twists and are light hearted and well worth a read. Some are just plan crazy! The Courting of Thou Noble Link! He Cut Off My Tail! Who Said Weddings Were Joyous? This page was created by Juliet A. Singleton © 1998-2013. All rights reserved.